Organizations have increasingly sought to adopt innovative interventions to prevent stress-related issues. In the field of manufacturing, however, the effectiveness of these interventions remains unclear because a systematic and specific review of existing primary evidence has not been undertaken. The present systematic literature review sought to address the foregoing limitation in the literature by summarizing the main source of stress and effectiveness of stress management interventions as grounded in the context of manufacturing. Our review was limited to only randomized clinical trials (RCTs) and quasi-experimental studies and concerned employees from the manufacturing sector. Twenty-two studies on primary, secondary and tertiary interventions across four continents (Asia, Europe, USA and South America) were selected and analyzed in terms of stress factors, methodological properties and outcomes. Most of these were RCT studies (68% Vs 32%) with a majority of secondary interventions (N = 11, 50%), followed by primary (N = 5, 22%), tertiary (N = 3, 13%), and two (9%) mixed interventions. The main outcomes included an improvement of psychological wellbeing, decreased stress reactivity and an increment of general health. There was a predominance of interventions utilizing skills programs and/or cognitive-behavioral techniques. The main source of stress reported related to professional identity, organizational deficiencies, interpersonal conflicts, physical complaints and poor work environment. 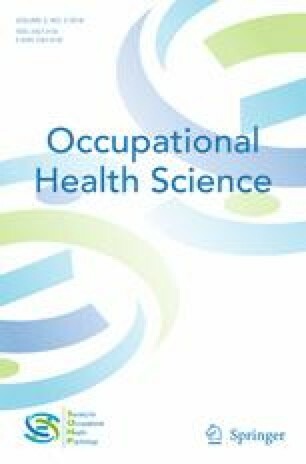 Taken together, the findings provide important theoretical and practical implications for advancing the study of stress factors and the use of stress management interventions in the workplace. The prerequisite for a successful intervention is to address the real problems experienced by professionals and help them to cope with their difficult situations. The strategy of “bottom-up” offers a potential means of enhancing employees’ health and well-being; however, the most effective means of implementing these interventions needs to be understood better. Silvia Riva is a Marie Sklodowska Curie Fellow and acknowledges support from the EC project H2020-MSCA-IF-2015/H2020-MSCA-IF-2015, Grant Agreement: 703236 – ‘Inhibiting Stress in the Construction Industry’ (INSTINCT). This review is part of the on-going INSTINCT project, and the authors are grateful for the Marie Sklodowska Curie Individual Fellowship grant which enabled it. SR carried out the literature review, performed the literature analysis, participated in the design of the study and drafted the manuscript. EC, performed the literature analysis, participated in the design of the study and drafted the manuscript. http://www.apa.org/helpcenter/work-stress.aspx. Last access Feb 27 2018.
http://www.hse.gov.uk/statistics/causdis/stress/stress.pdf. Last access Feb 27 2018.